On my Vanessa Kelly page, I’m giving away a copy of HOW TO PLAN A WEDDING FOR A ROYAL SPY, Renegade Royals books 3, and a copy of Julia Quinn’s ON THE WAY TO THE WEDDING. I think we can see a theme! Just click here to enter that contest, which closes on Friday night. And on my VK Sykes facebook page, I’m giving away a copy of SUMMER AT THE SHORE, my latest Seashell Bay contemporary romance, plus a copy of Hope Ramsay’s LAST CHANCE HERO. Just click here to enter that contest. For those who are celebrating, have a wonderful Labor Day Weekend! The Joy of Romance…and Summer Jobs! I’m doing the rounds of the world-wide-interweb today, talking about the joys of romance, the joys (or not) of summer jobs, and giving away books. My first stop is at Read-A-Romance-Month, which is a month long celebration of the joys of romance, sponsored by Bobbi Dumas of Kirkus Reviews. Bobbi is hosting dozens of fabulous romance writers during the month of August, who are all talking about their personal experiences of the romance genre AND giving away lots of books. 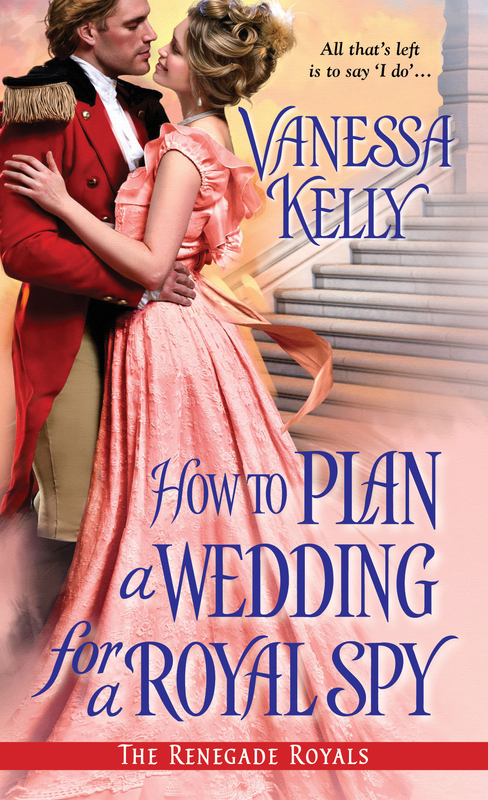 Click here to join me at RARM, where I’m doing a giveaway of HOW TO MARRY A ROYAL HIGHLANDER (and also one of my VK Sykes contemporary romances). I’m also doing my regular gig at The Jaunty Quills today, talking about crazy, horrible, or hilarious summer jobs. Stop by for a chance to win a copy of my latest VK Sykes book, SUMMER AT THE SHORE. 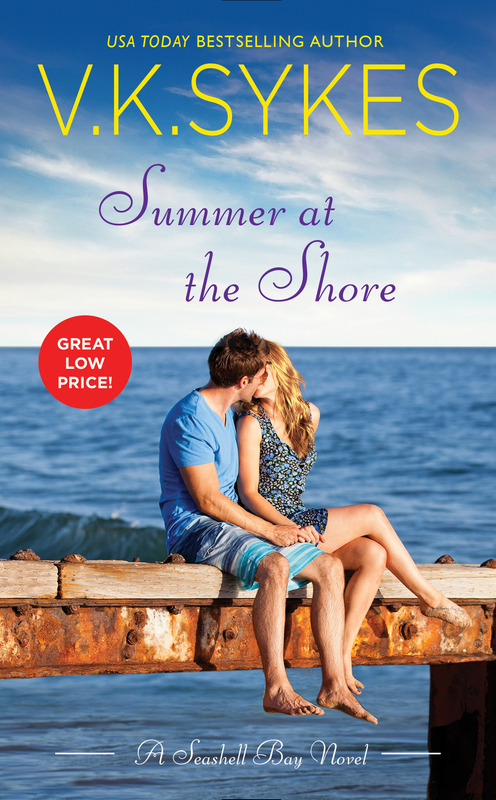 SUMMER AT THE SHORE, my latest VK Sykes contemporary romance, just went on sale for only $2.99! I write these books with my hubby and SUMMER is the latest in our Seashell Bay Series, which is set on a pretty little island off the coast of Maine. Small town romance with a seashore setting! You can download the book from Amazon, B&N, and iBooks. For more info and to read an excerpt, please visit my VK Sykes website. I’m wrapping up my blog tour for HOW TO MARRY A ROYAL HIGHLANDER with a few more stops. Be sure to drop by for a last chance to enter my contest! I’m also coming to the end of the tour for my new VK Sykes contemporary romance, SUMMER AT THE SHORE. Be sure to stop by to read the final few excerpts and to enter my contest. 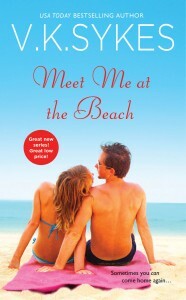 Finally, I’m giving away a copy of MEET ME AT THE BEACH, my first VK Sykes book in the Seashell Bay Series, on my VK Sykes facebook page. Just click here to enter. On The Road With The Jaunty Quills, and Another Party! I’m doing my regular thing today at The Jaunty Quills. Please join me for an exclusive excerpt from my new VK Sykes book, SUMMER AT THE SHORE, and for a giveaway! Click here to join me. You can also follow along on my SUMMER blog tour and giveaway. Click here for the blog schedule. Chances to win prizes at every stop! I’m also hosting a facebook party tonight to celebrate the release of SUMMER. The party takes place from 7 – 9:30, EST. Hope to see you there! I’m also continuing on my HOW TO MARRY A ROYAL HIGHLANDER blog tour. Click here for the schedule and to join me for exclusive excerpts and giveaways!